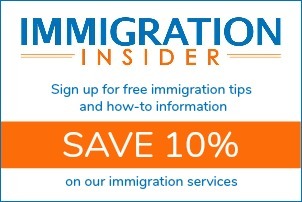 Here’s what you can do to get the best status updates from USCIS. Start the process by submitting a request for e-notification. This is a very simple form that gets filed along with your primary application or petition. When you file Form G-1145, E-Notification of Application/Petition, with your application or petition, you will get an email and/or text from USCIS letting you know that your application has been accepted. The e-notification (text or email) will not include any personal information, like your name, because email and text message are not secure ways to transmit this information. The notification will list your receipt number and tell you how to obtain additional case status information. There’s a small catch. This service is only available for forms filed at three USCIS Lockbox facilities located in Lewisville, Texas; Chicago, Illinois; and Phoenix, Arizona. This does cover most forms. The process is extremely simple and totally free. You can prepare a free G-1145 on the CitizenPath website in just a few seconds. Place the Form G-1145 on top of your primary application when you mail it it. Once your application or petition has been accepted, USCIS will mail you a receipt notice. This receipt notice is formally known as Form I-797C, Notice of Action. Most people receive it within 1-3 weeks of filing the original form. The Notice of Action is an important receipt letter. It will include a 13-character receipt number that begins with three letters (such as EAC, IOE, WAC, LIN, or SRC). To view the status of a case, simply enter the receipt number into the Case Status tool on the USCIS website. You’ll get an update such as the one pictured below. If the Case Status tool is not helpful or your situation requires more attention, you may also contact the USCIS National Customer Service Center (NCSC) for live support. Dial 1-800-375-5283 (from within the United States) to reach the NCSC Monday through Friday. If you are outside the United States and need more information concerning U.S. immigration, you will need to contact the closest U.S. Embassy or Consulate. Recently, USCIS launched a virtual assistant named “Emma” on USCIS.gov, allowing customers to quickly find accurate information. 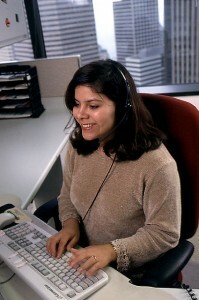 She answers questions in plain English and navigates users to relevant USCIS web pages. Sometimes it’s necessary to get hands-on, personal assistance with your case. You can schedule a free appointment to visit a local USCIS office and get answers on your case. 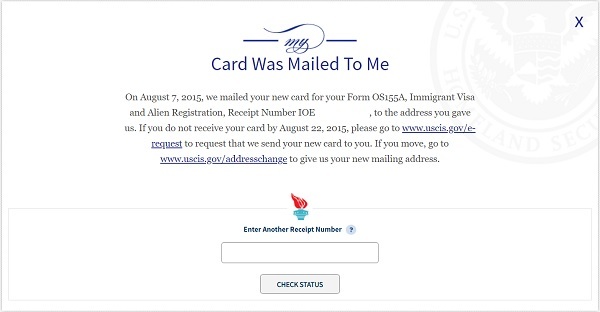 Look for the “Make an Appointment” icon on the USCIS homepage to use their InfoPass system to make an appointment.